When you’re in Paris, one of the most awesome things that you can do is to admire the myriads of lights that are everywhere around the city. 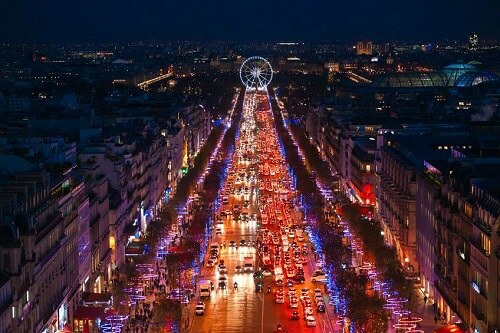 The breathtaking Christmas Illuminations are the event that both Parisians and tourists look forward to. The colored bulbs, luminous arches, show windows and sparkling garlands deck out the streets of Paris in holiday radiance and Christmas cheer. Go to Place Vendôme, Avenue Montaigne, Forum des Halles or Bercy Village. All these places are imbued with festive cheerful atmosphere. Walk along the streets and admire beautifully decorated trees that change their color every half hour. Christmas lights displays are available at any time from November till January.